Will I Lose More Hair After My Hair Transplant? Many patients begin treatment while they are partially bald. 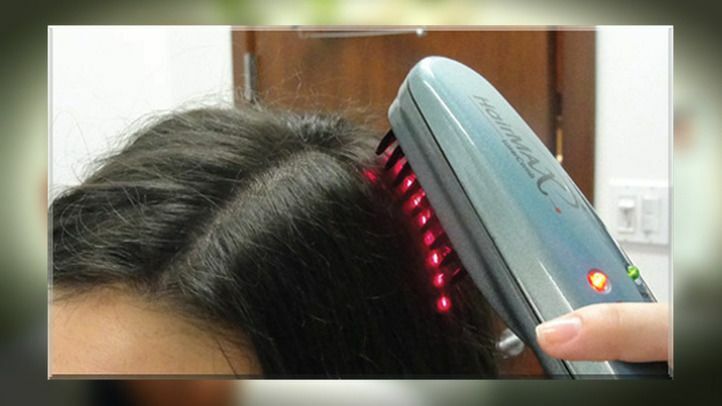 Since male and female pattern baldness are progressive, further treatment will be needed to keep pace with hair loss. Dr. Robert H. True and Dr. Robert H. Dorin use advanced techniques to provide the most natural-looking results in both the near and long-term. One of the most appealing aspects of contemporary hair transplantation is that the transplanted hair looks completely natural if the remaining native hair around it is lost. All it looks like is hair is thinner than it was. So the decision about doing further treatment is optional, not a necessity. It is up to each patient if they want to add back lost density or continue treatment to a new area of balding not previously treated. Each treatment stands on its own in respect to being cosmetically excellent. 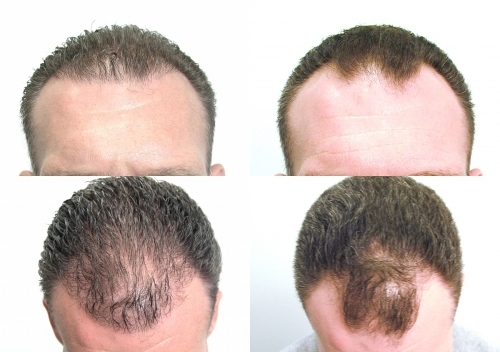 Shown here is a patient who had a fair amount of native hair before his first hair transplant procedure and although one year later he lost some native hair, he still has an evenly dispersed, natural result. If we transplant both areas, we are committing the patient to have to do treatment to the area between, if that hair is lost later. Otherwise, they would have an abnormal balding pattern with hair at the front and crown but bald in the middle. The most conservative approach in such cases is to initially just transplant the front and use medical therapy with Minoxidil and Propecia to treat the crown, deferring crown transplants. This leaves the most options open to the patient. If you would like to know more about your recovery, and what to expect following your treatment, please send us a message or give us a call at (866) 629-0866. While True & Dorin is known for their hair restoration surgery, they also offer highly effective hair restoration medicine.